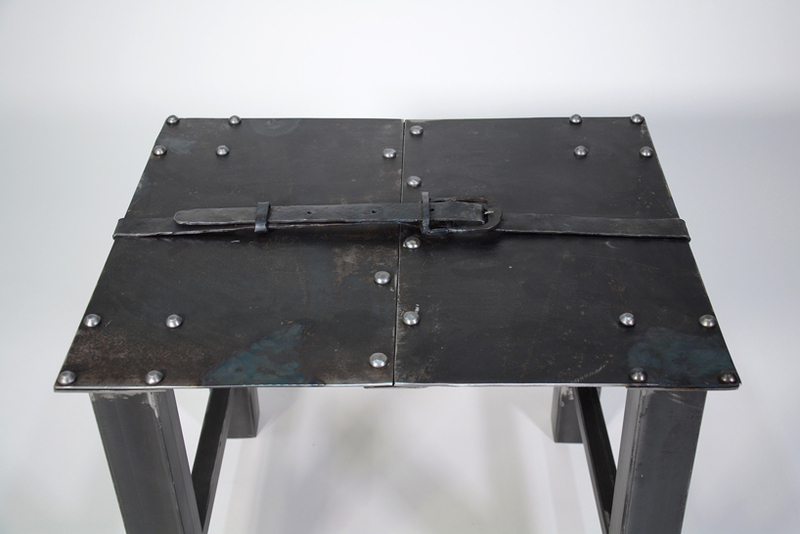 defying the flexible nature of a belt, and simply inspired by the one he was wearing, this metalworker has forged together a characterful table, fastened together with an iron belt. 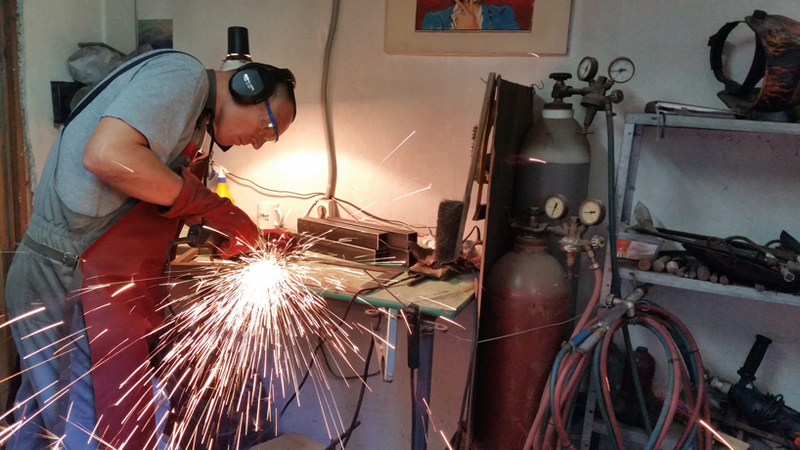 handcrafting each piece in a bid to preserve the tradition, from his own workshop, archaeologist and iron-forger, ‘creative iron’, has made a place to explore his new found interest in metal-forged furnishings, developing a medieval-like style that originates from the rich tradition of central europe. 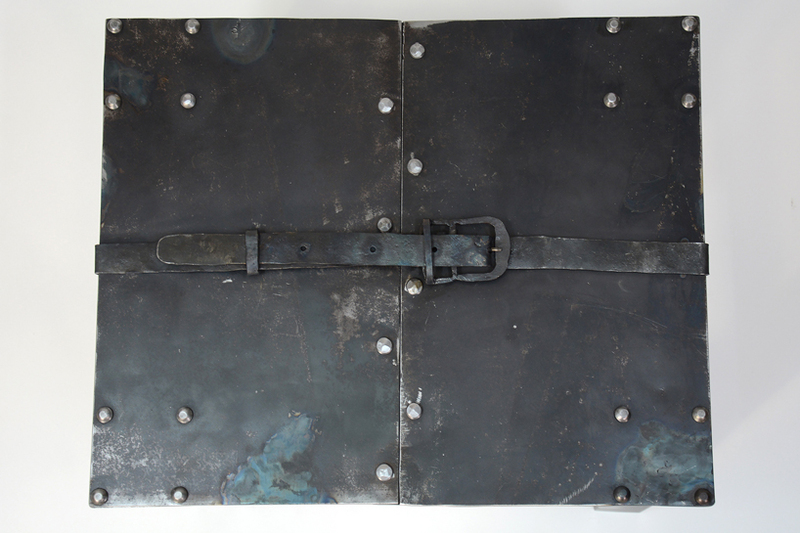 already familiar with the mechanisms of a buckle, having discovered many as an archeologist that were centuries, even millennia, old, creative iron wanted to incorporate a decorative buckle into his latest furnishing. 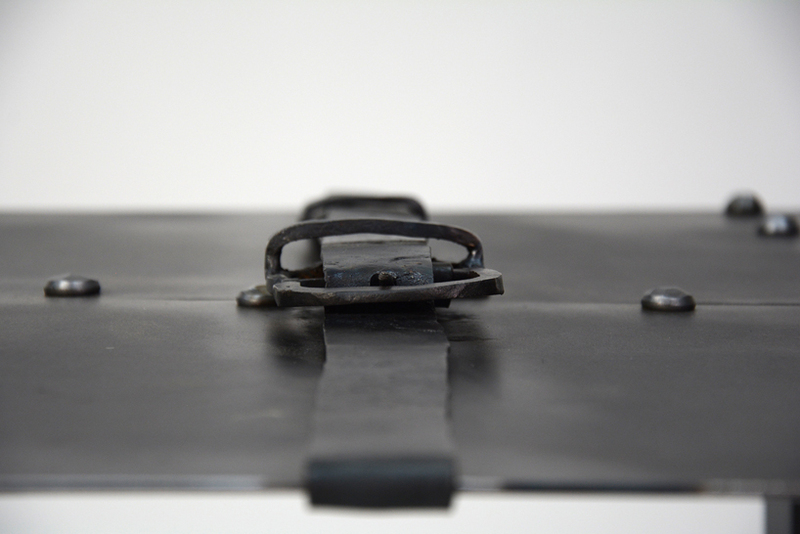 ‘a buckle is the only part of a belt that is preserved; leather belt disintegrates and the buckle remains. I had to create a wrought iron belt and incorporate it in my iron coffee table project’, he explains. 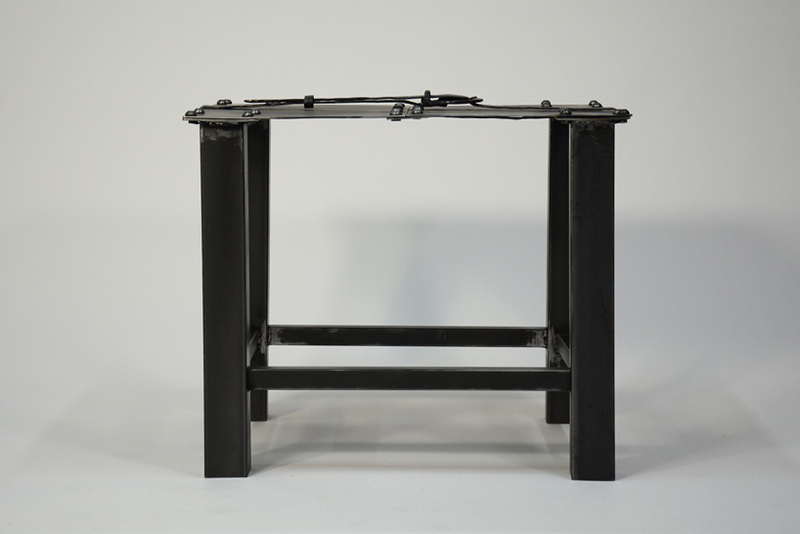 creative iron imagined the belt to hug the wrought iron table, thus joining the halves into one strong whole. 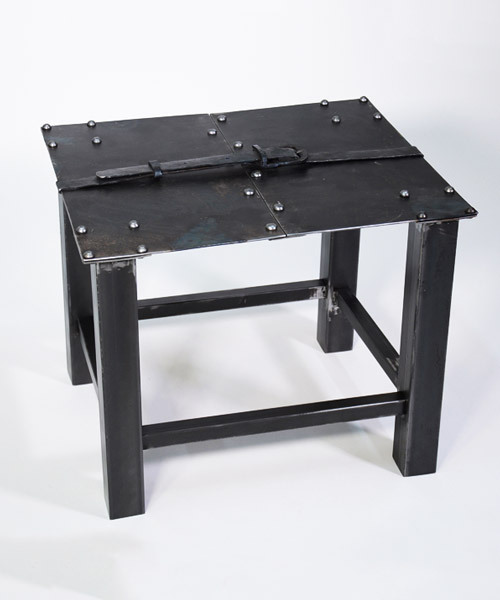 ‘I pictured a heavy iron coffee table with lots of large rivets that fasten the legs which are connected to each other with traverse poles. at this point the idea was to divide the wrought iron coffee table into two halves and, only seemingly, and mend it with rivets‘, he explains. 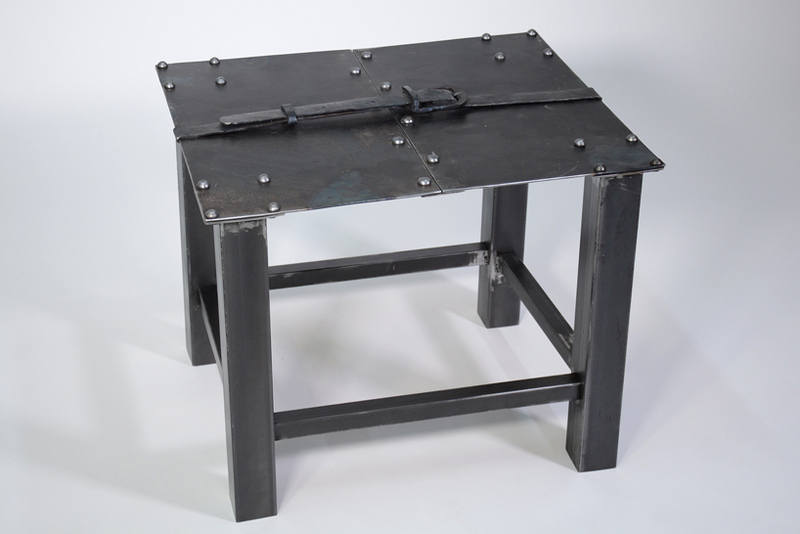 ‘this heavy, raw piece of wrought iron furniture was then transformed into a gentler piece of furniture with an industrial look‘. 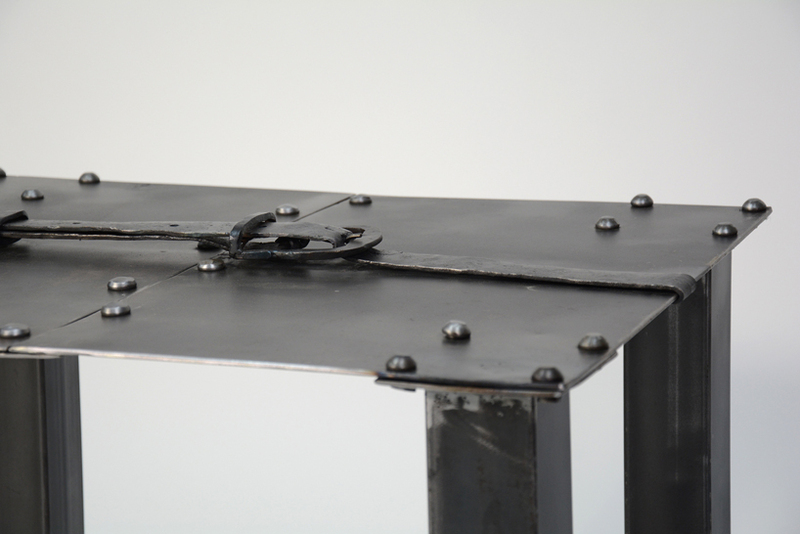 as a result, the belt gives the strong table a soft touch, only left to be covered in colorless matt varnish for protection against corrosion. Thank you Designboom team for publishing my work on your page! it great honor for me.